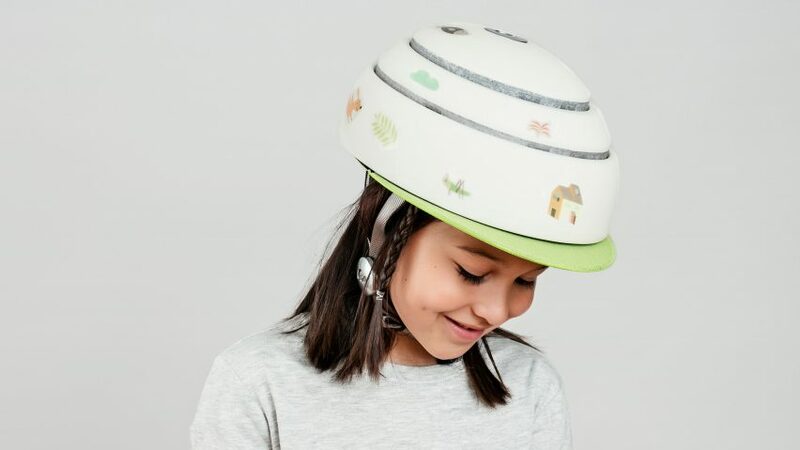 Helmet brand Closca has launched a children's version of its folding bicycle helmet that's accompanied by city-themed stickers for customisation. 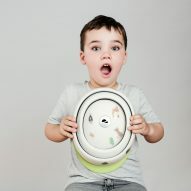 The kids' range – created in partnership with Spanish creative consultancy CuldeSac – includes all the same features of Closca's original Fuga design, which was first launched in 2015. 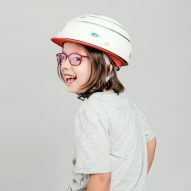 The brand's helmets are made from three concentric parts that allow it to collapse to half its size for easy storage and carrying, but remain sturdy enough while being worn to protect from accidents. 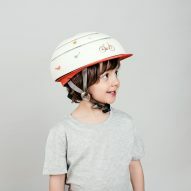 Closca has given the helmet a city theme, turning children's drawings of their ideal towns into a set of sticker designs created by Spanish illustrator Cecilia Plaza. 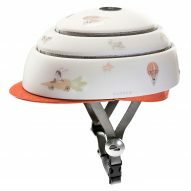 Images include hot-air balloons, trees and a parade of different animals, all of which children can use to customise their own helmet. 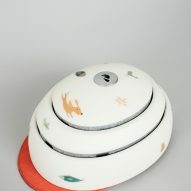 It also comes with a removable visor in bright green or orange. 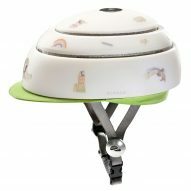 NFC technology is incorporated into the helmet, allowing it to be registered to include the owner's information in case of accident. 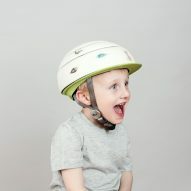 It also means the helmet can connect to apps, public cycle stations and emergency numbers. 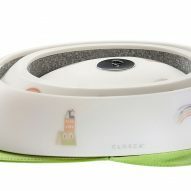 Closca has been the recipient of several awards, including a Red Dot Design Award in 2015. Since its launch, the company has steadily expanded its range, releasing new versions as well as accessories that protect cyclists from the cold and dark of winter. 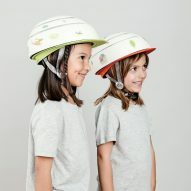 Another foldable helmet was the recipient of the 2016 James Dyson Award. Designed by Pratt Institute of Design graduate Isis Shiffer, the headgear is made from layers of recycled paper woven into a honeycomb-like structure. 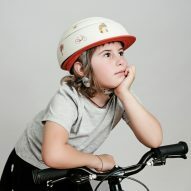 The Lumos – which won the transport design category of the 2016 Beazley Designs of the Year awards – is another alternative to traditional bike helmets. 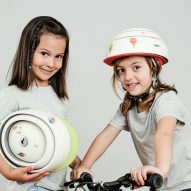 It incorporates brake lights and indicators to alert drivers when cyclists are stopping or turning.